Neck Dimension: 1st Fret: .790" - 12th Fret: .930"
Marking the Fender Custom Shop’s 30th anniversary in style, this guitar is for players who want to add a touch of velvety warmth and spotlight-ready style to the classic feel and sound of a Stratocaster. 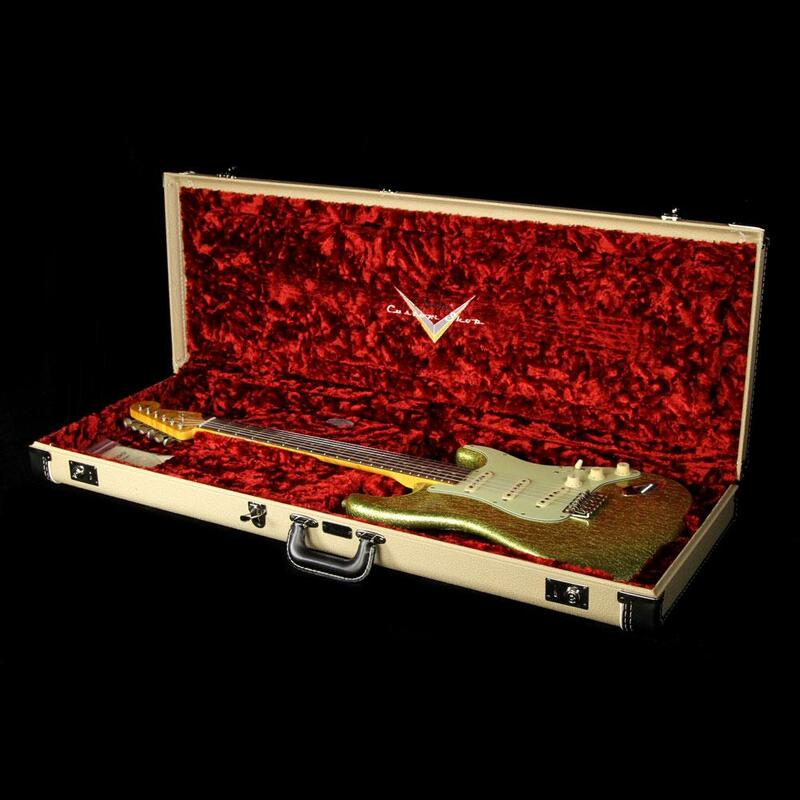 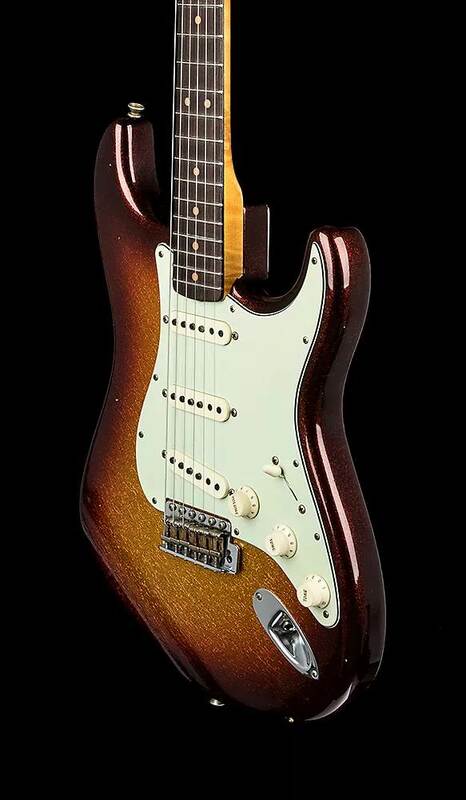 The Fender Custom Shop 1963 Journeyman Relic Stratocaster takes you back to a pivotal period in the instrument's history, when surf music was riding high and the Strat underwent some notable design mods. 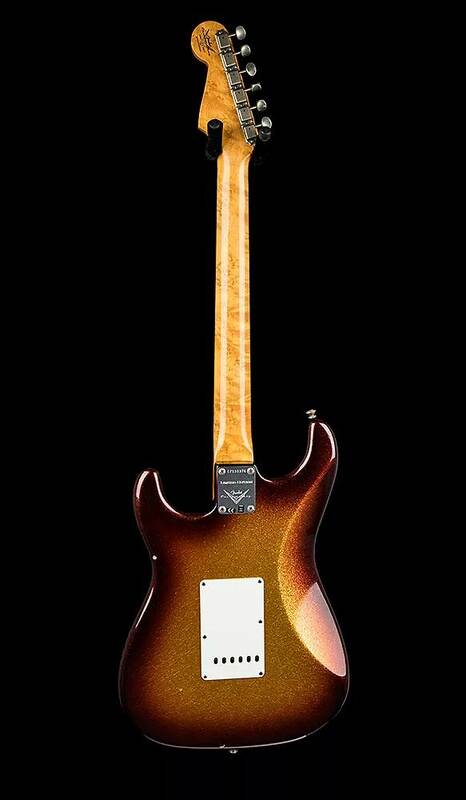 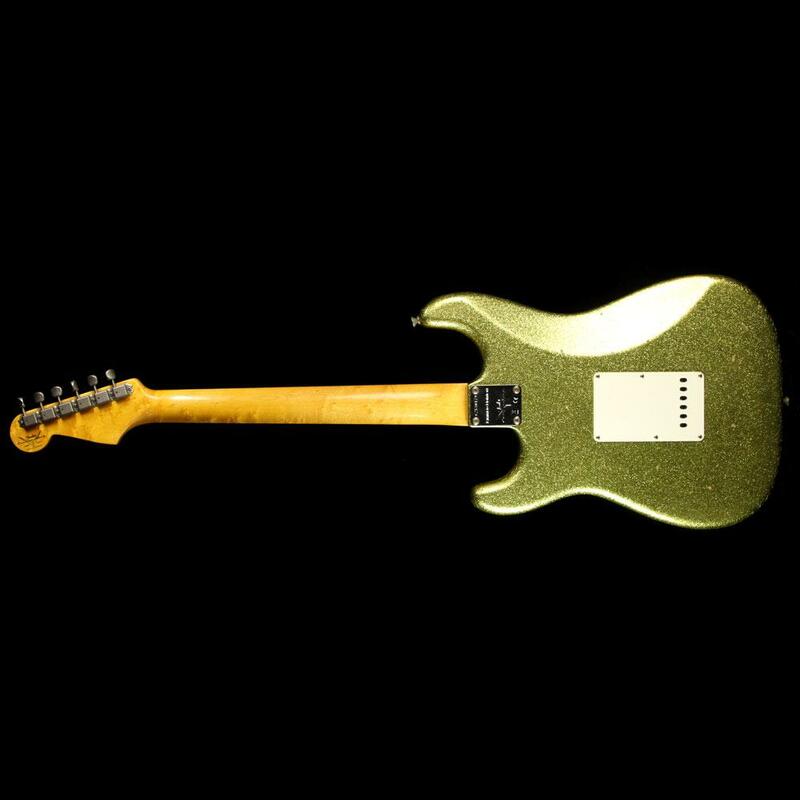 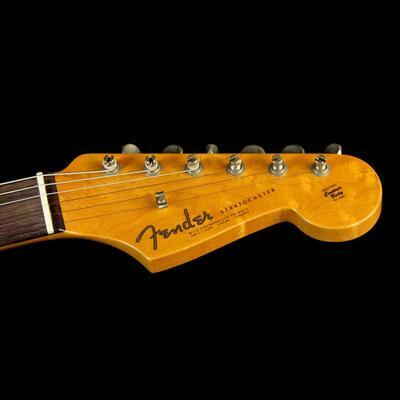 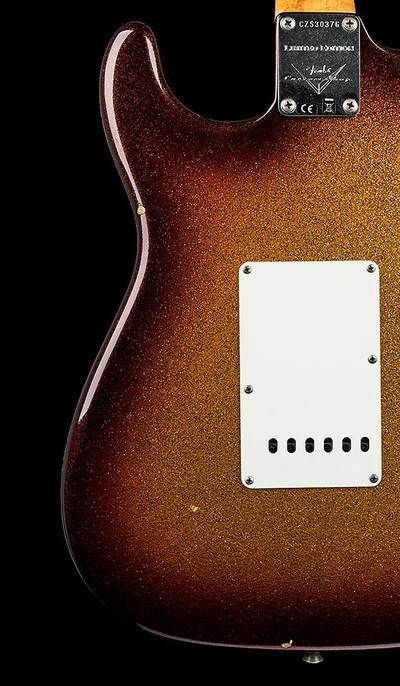 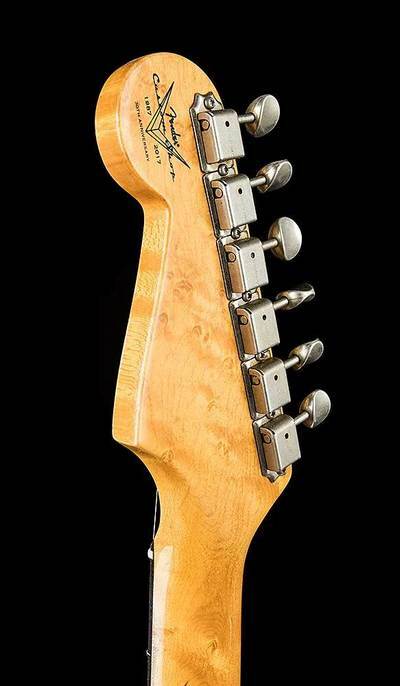 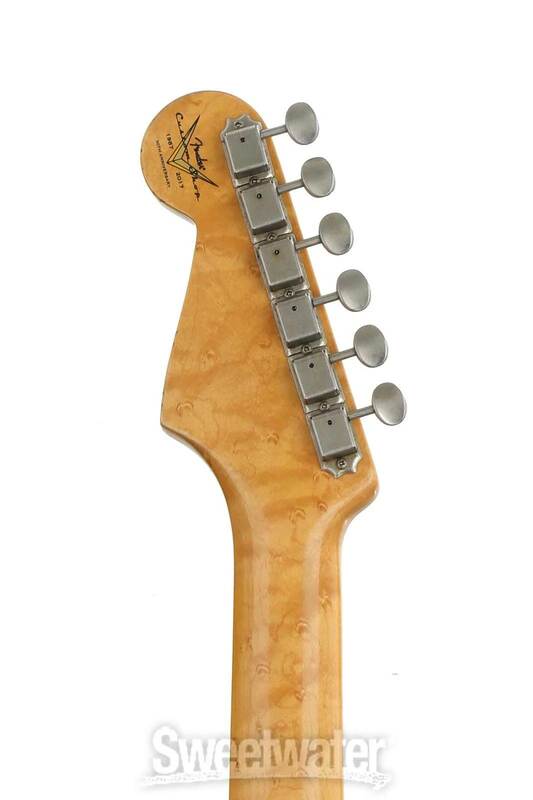 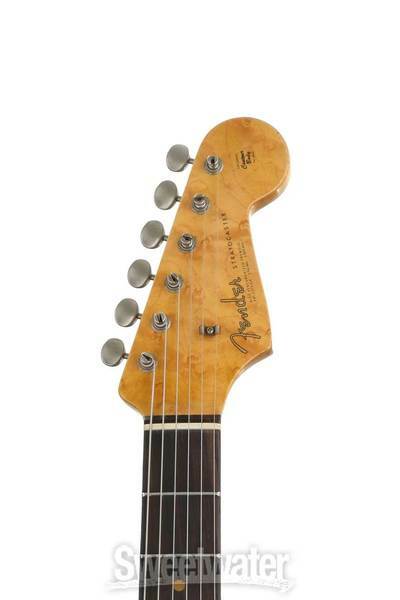 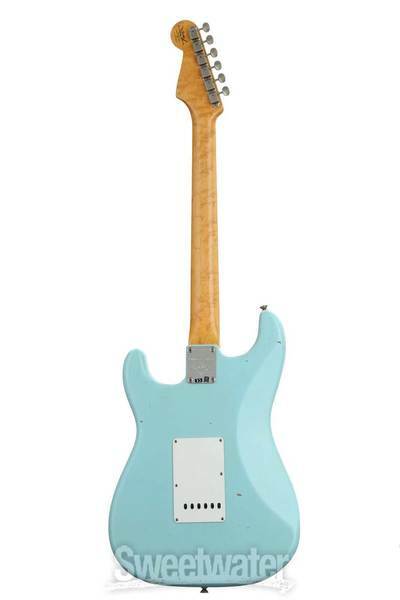 Its deep-contoured alder body was featured in a number of finishes new the the Fender line. 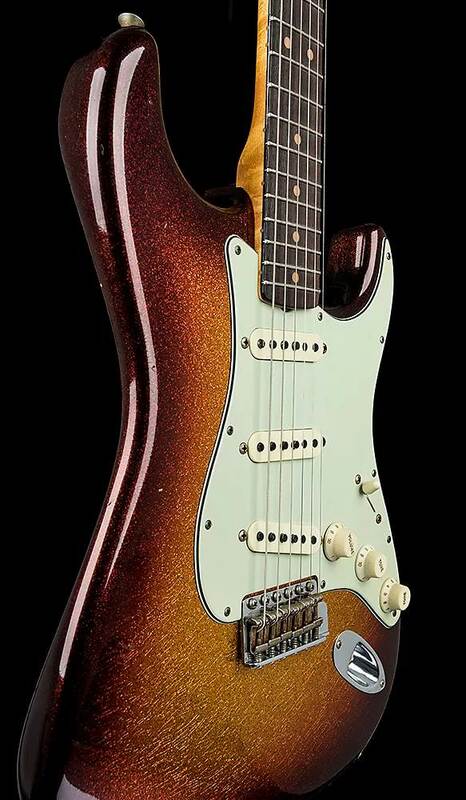 This particular Strat was a custom build for NAMM 2017. 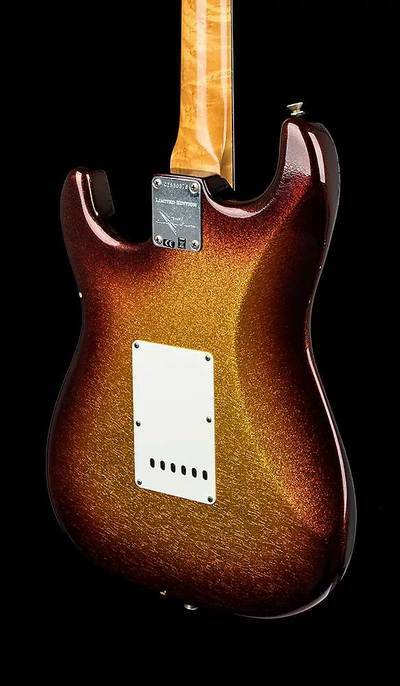 The light, Journeyman Relic finish treatment gives it the look of an axe that was used, not abused, but loved over time! 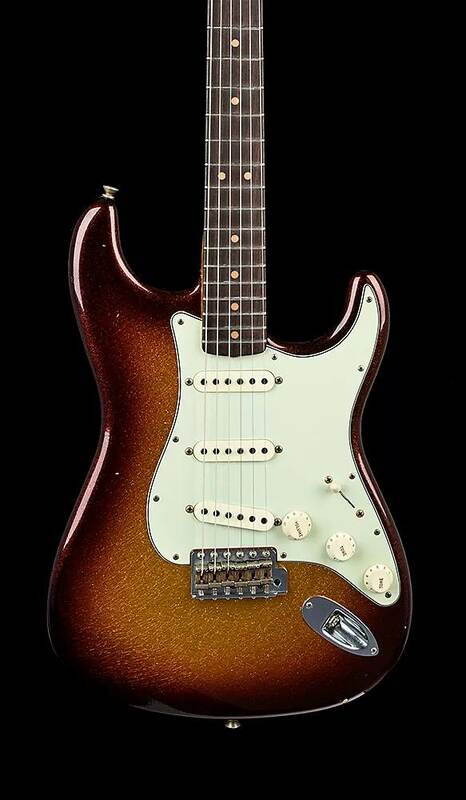 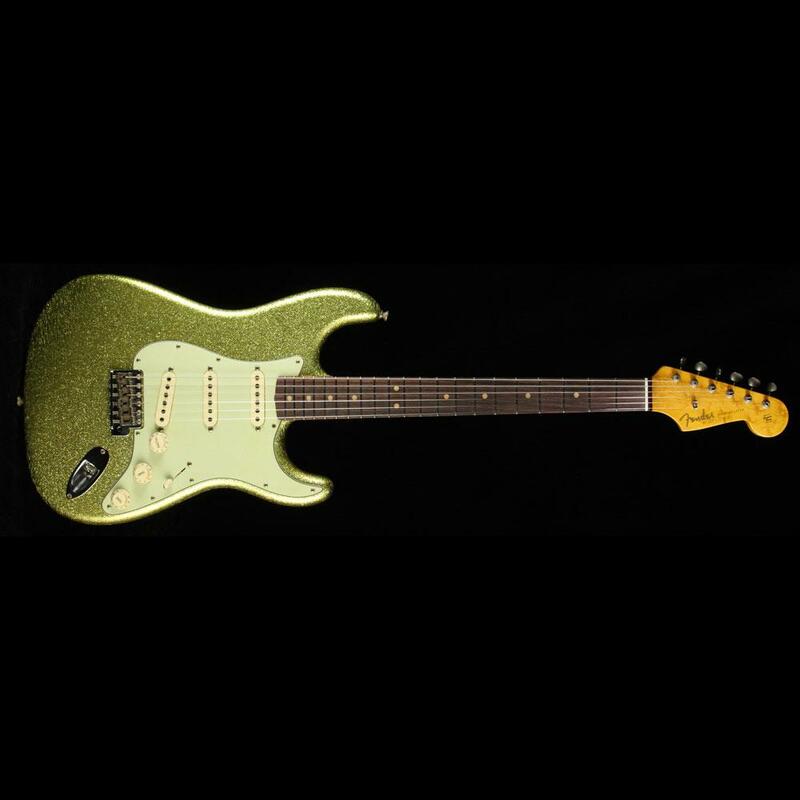 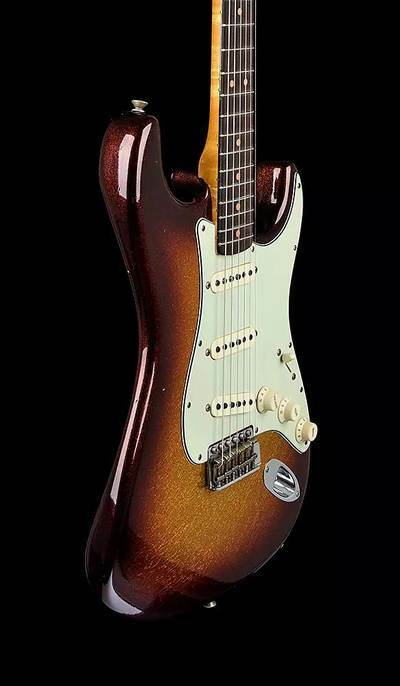 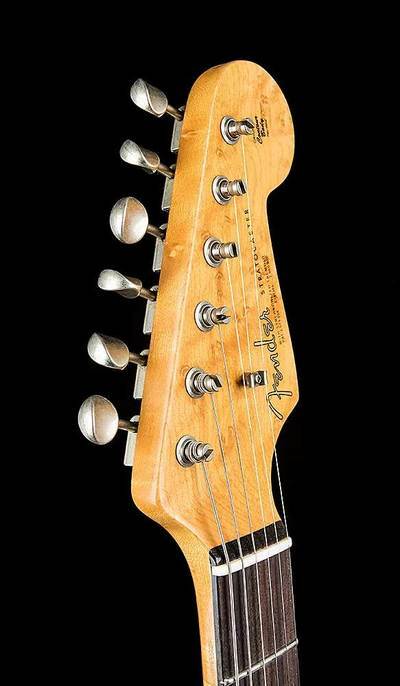 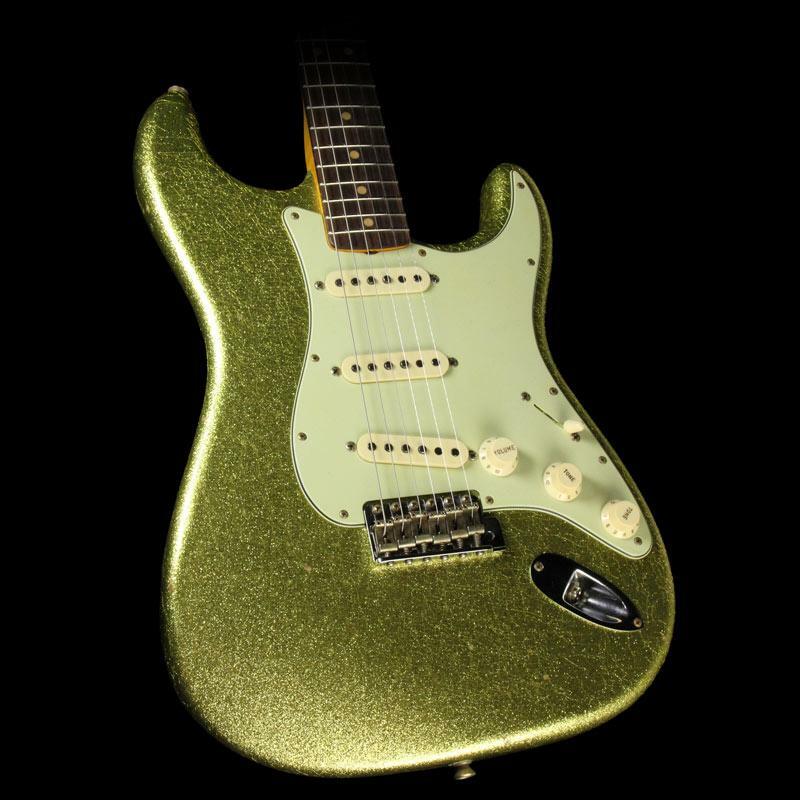 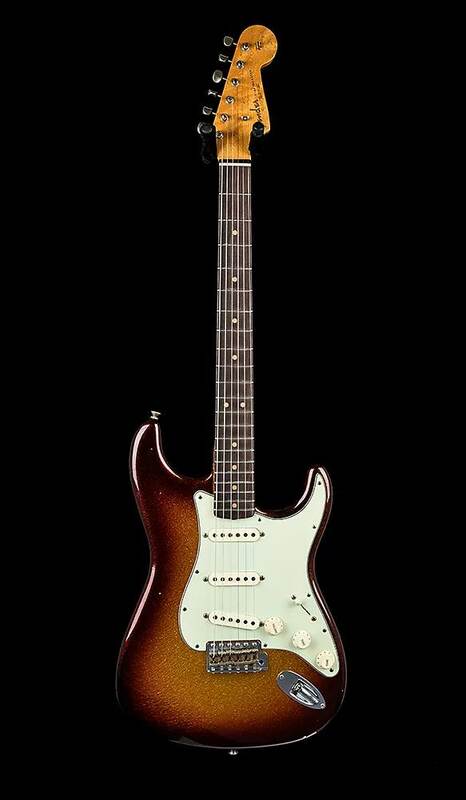 Sparkling tone comes from three hand-wound '60/63 Stratocaster single-coil pickups (reverse wound/reverse polarity middle pickup) with modern five-way switching. 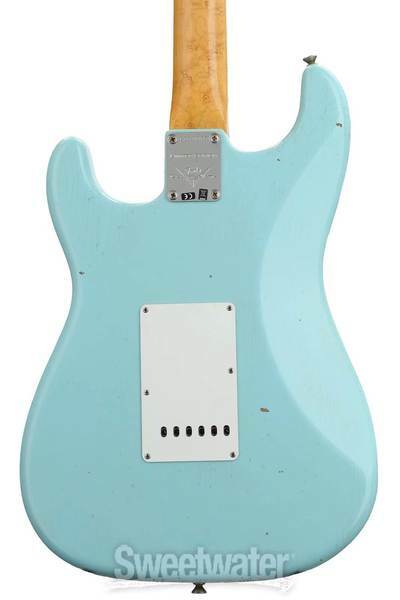 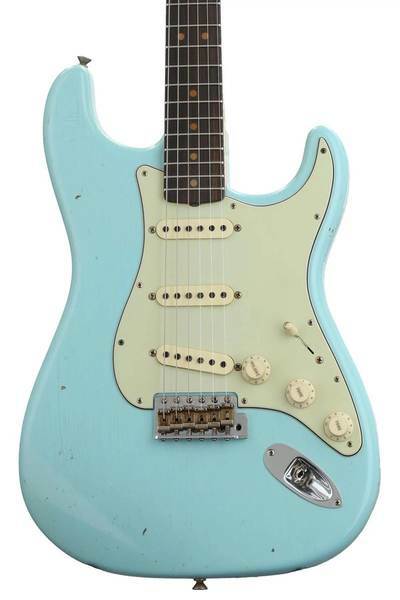 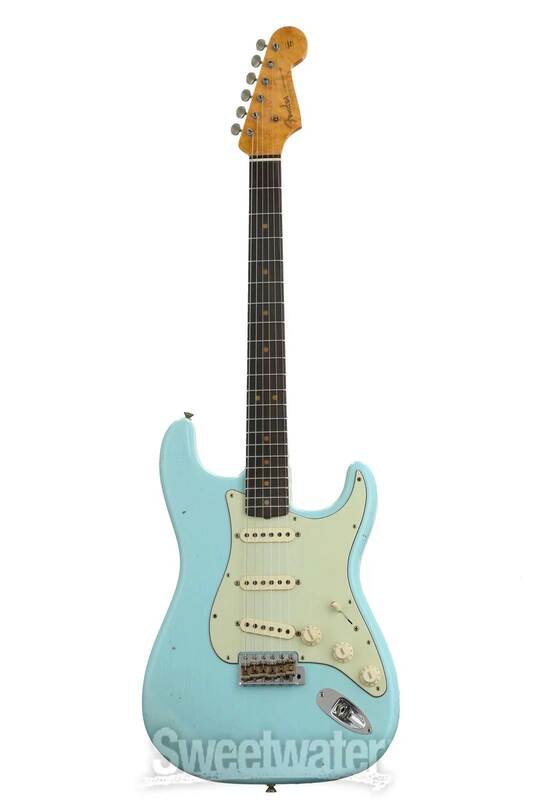 Other premium features include a Birdseye Maple neck with a comfortable '60s "oval C" profile and small headstock, 9.5"-radius "round-laminated" rosewood fingerboard with 21 narrow jumbo frets, three-ply parchment pickguard, vintage white control knobs, American Vintage bridge, and American Vintage tuning machines.